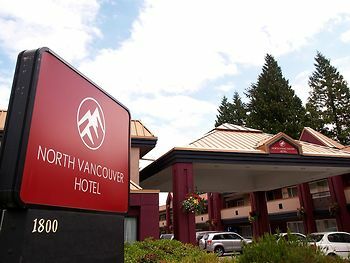 North Vancouver Hotel, District of North Vancouver, Canada - Lowest Rate Guaranteed! When you stay at North Vancouver Hotel in District of North Vancouver, you'll be near ski lifts, within a 15-minute drive of Capilano Suspension Bridge and Robson Street. This motel is 4.4 mi (7.1 km) from Stanley Park and 4.4 mi (7.2 km) from Vancouver Convention Centre. The breakfast provided was just right for me, especially the fruit and yogurt. My room was comfortable. ALL the staff were considerate. I have arthritis, so walk with a cane, and was given room - 130 - on lower level within easy walking distance of breakfast and lobby. When I made 5 suggestions for improvement, three of them were acted on the same day. The day after booking into the hotel, I made the following suggestions for improvement:(1) A electric plug extension to accommodate more than the TV and Desk Light, especially the coffee/hot water machine. DONE THAT DAY (2) Suite door hard to open- DONE(3) TV Channel Identifier - DONE (4) Bathroom sink stopper (5)warmer Breakfast Eating Room. It was close to our function. Location was good. Staff was nice, and price was right. The breakfast had surprisingly good variety. Good value for money and easy access to tourist attractions. Staff was very friendly. Great price for the room. Overall this was a very enjoyable place to stay if you're on a budget & not requiring brand new facilities. It was very clean & on the bus route. 1/2 mile or so walk to grocery store with a fridge & microwave in the room. Continental breakfast, pool & laundry facilities.